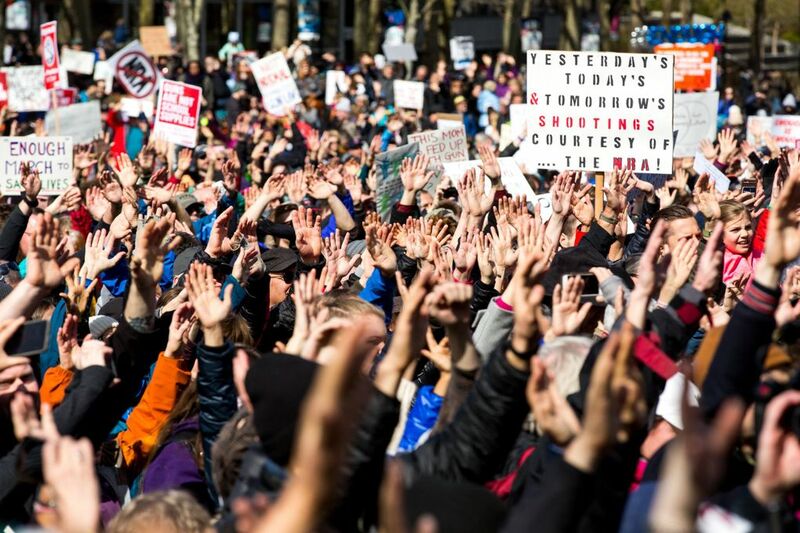 Thousands of people marched through downtown Seattle in a student-led protest demanding stricter gun laws in Washington and across the country. 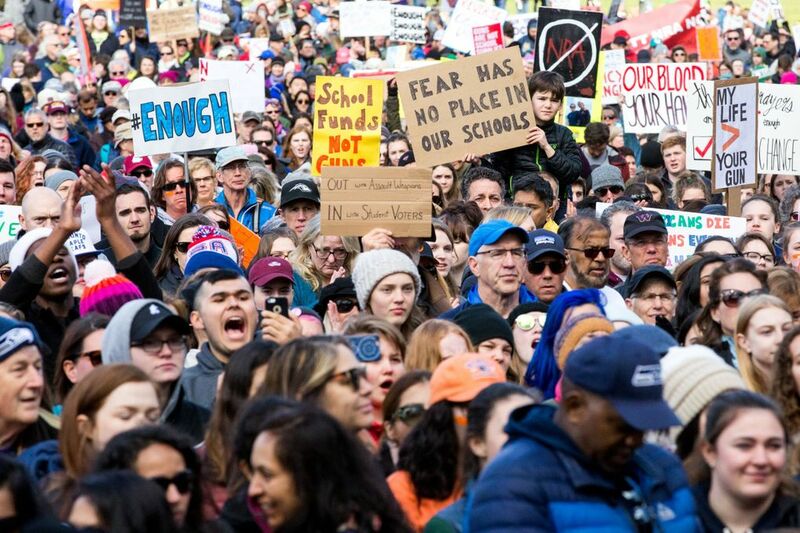 Our live-update coverage of Seattle's March For Our Lives has concluded, but read below to see how the events played out. 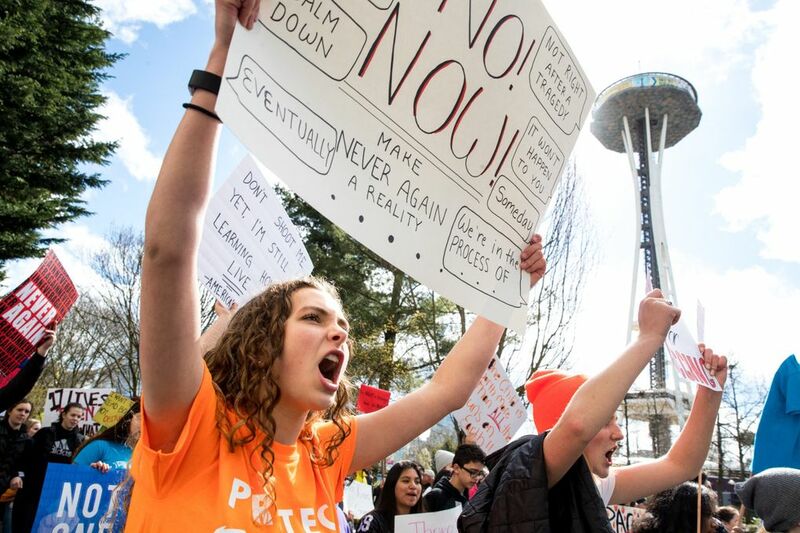 Thousands of people attended Seattle’s March For Our Lives, a student-led event calling for an end to gun violence and mass shootings. 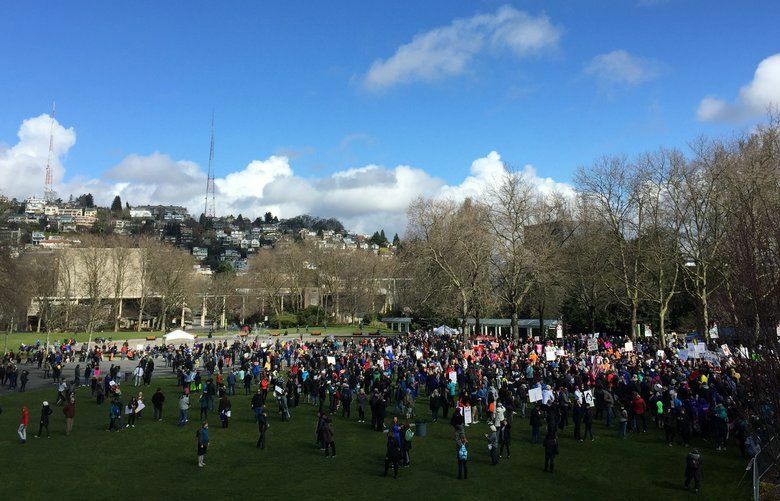 A rally started at 10 a.m. at Cal Anderson Park on Capitol Hill; the march began at 11 a.m. Speakers and performers included Gov. 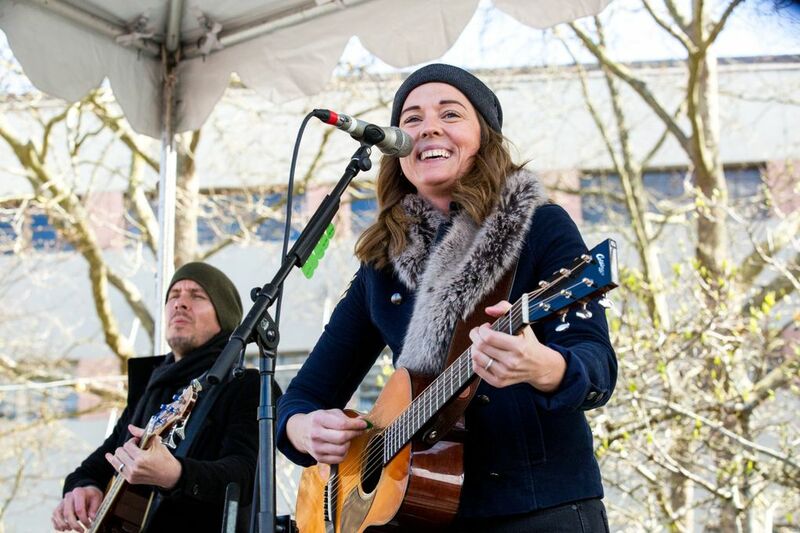 Jay Inslee, state Attorney General Bob Ferguson and singer-songwriters Brandi Carlile and Dave Matthews. 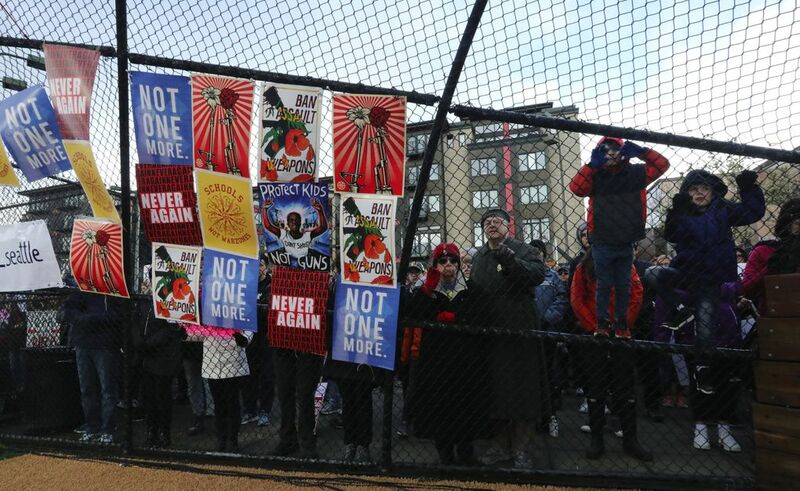 Saturday’s march was one of hundreds alongside the main event in Washington, D.C., in the wake of the Feb. 14 school shooting in Parkland, Florida, where 17 people were killed after a student opened fire. 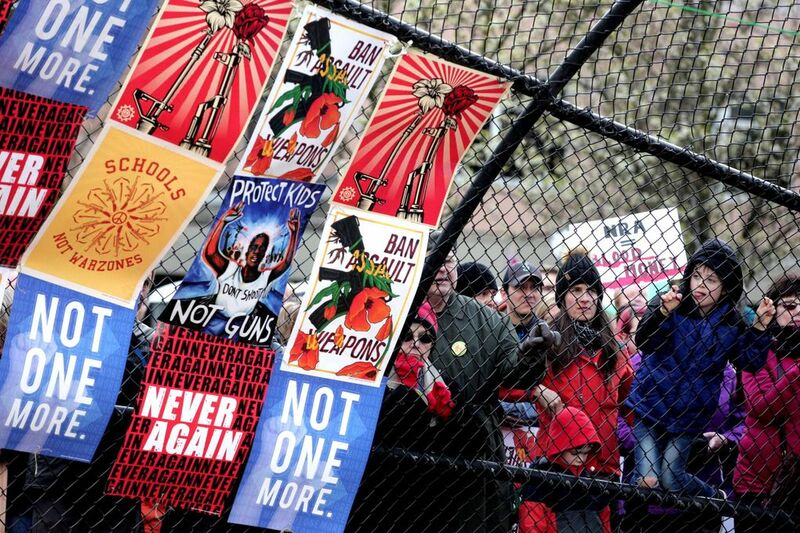 Saturday marks the latest national protest day to demand stricter gun laws. 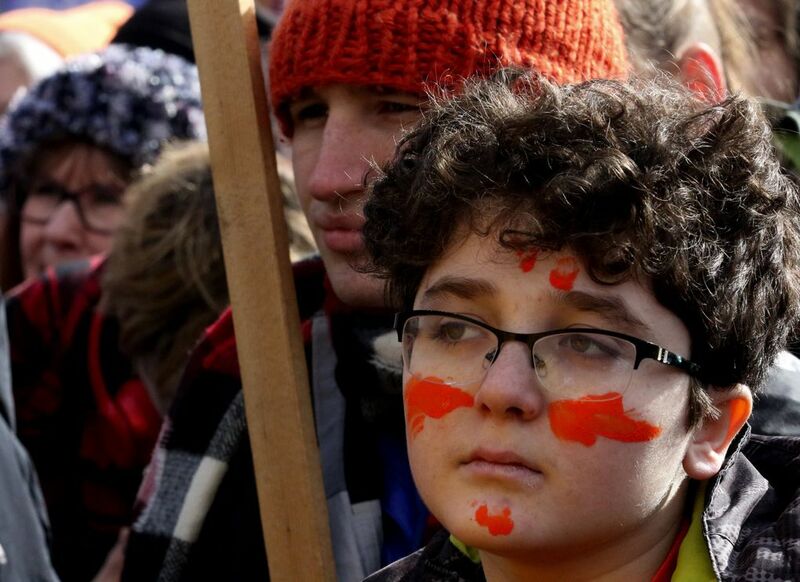 Students around the country walked out of classes March 14. Singer-songwriters Brandi Carlile and Dave Matthews are performing onstage for the crowd that still remains at Seattle Center. Matthews said that he lost his sister and uncle to gun violence. 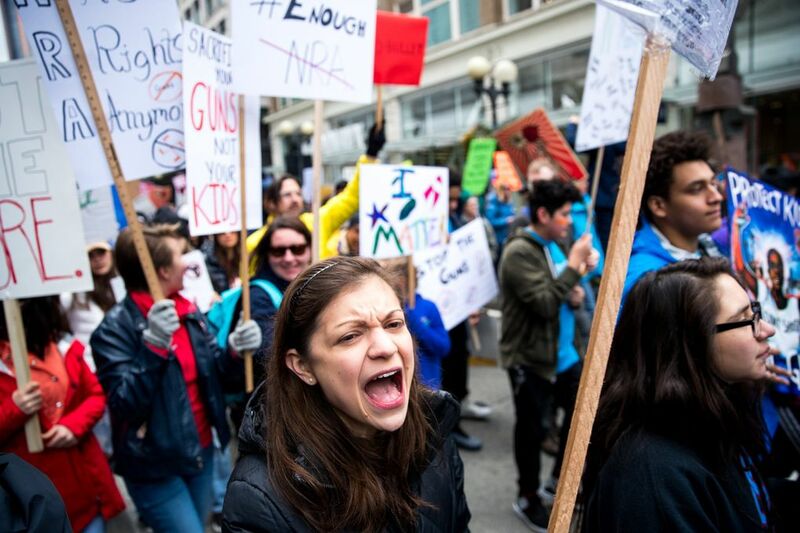 These are some sights and sounds from March For Our Lives. Gov. 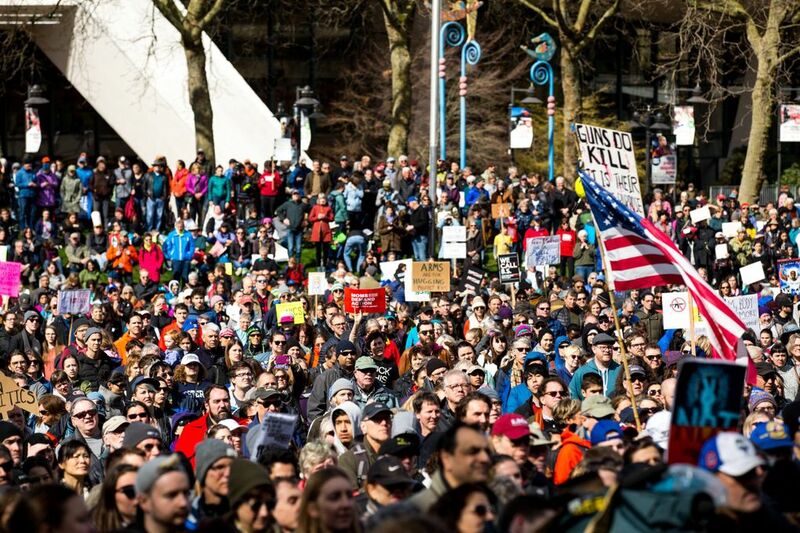 Jay Inslee is speaking at Seattle Center as part of a second round of speeches and performances. 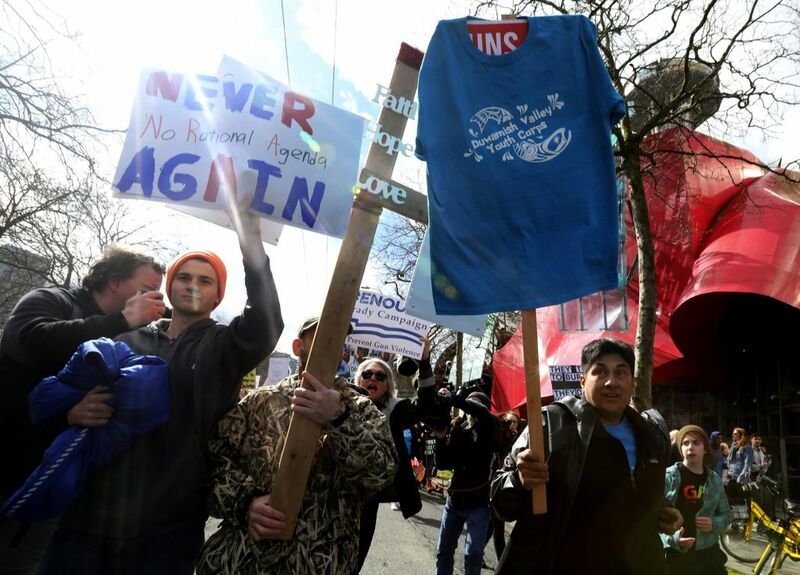 Other marches are being held in cities throughout the Puget Sound region. 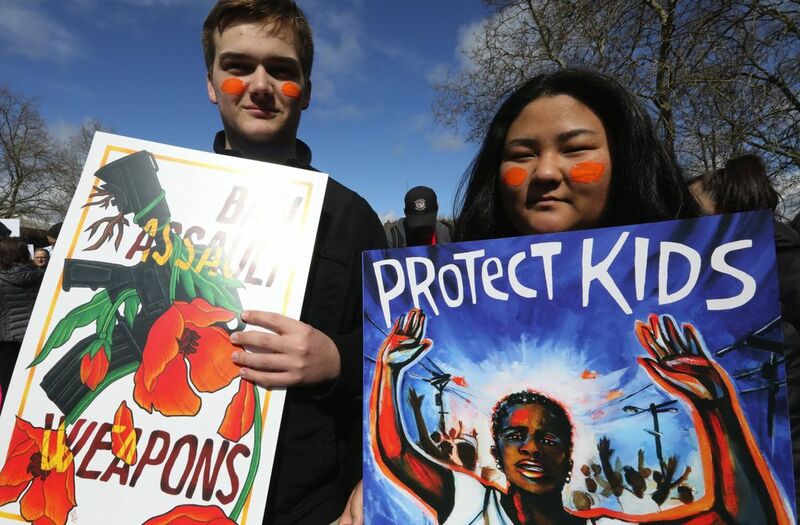 In Marysville, some of the students who were marching at Asbery Athletic Fields were in the Marysville Pilchuck High School lunchroom in 2014, when a classmate killed four of his friends and wounded another. 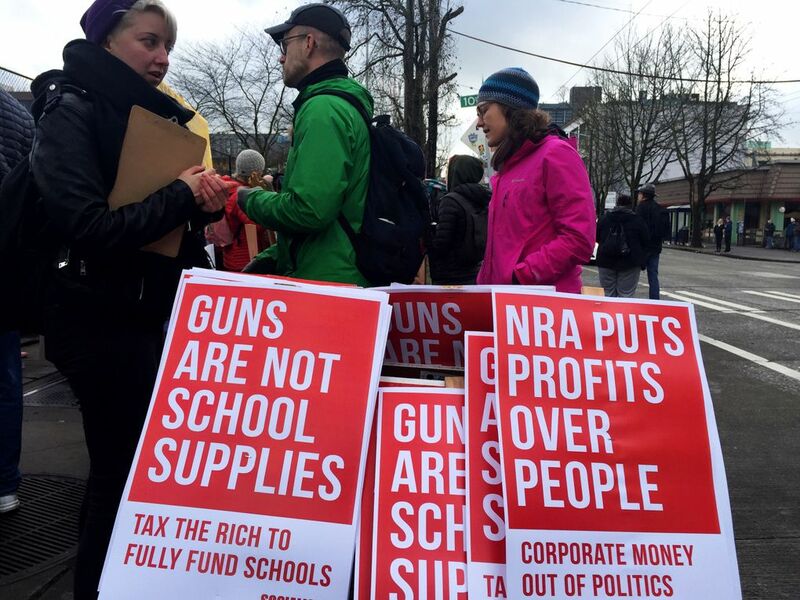 An estimated 5,000 people gathered outside the Legislative Building in Olympia for a march, which was organized by a North Thurston High School student who was a freshman at the school when a classmate fired a gun inside the building’s commons area. 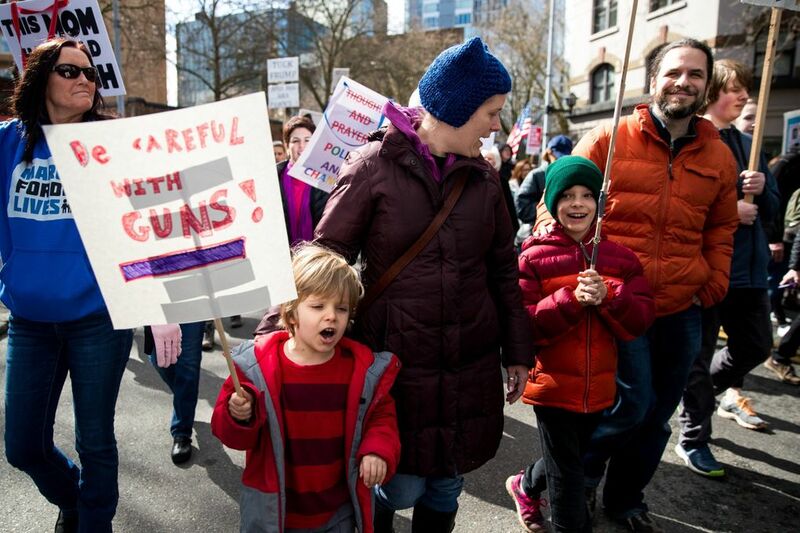 Organizer Madelyn Olson’s father, Brady Olson, tackled the student, The Olympian reported. 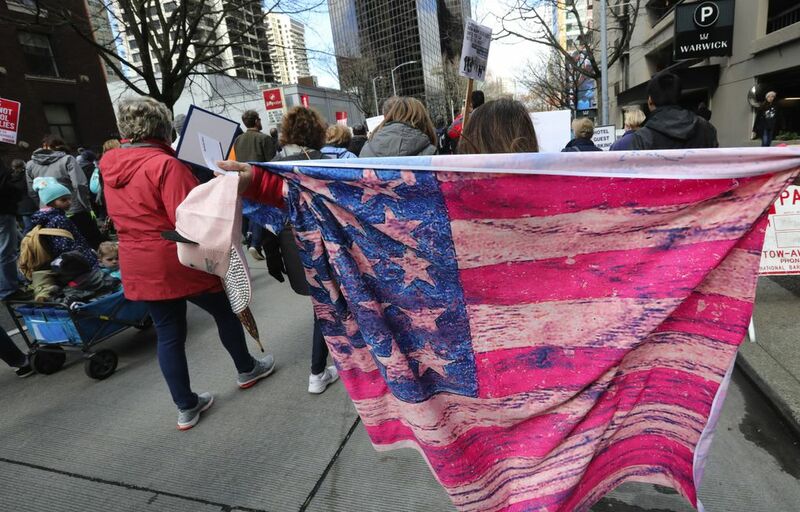 The march stretches more than a mile through downtown Seattle, with the front near Seattle Center and the back still on Capitol Hill. 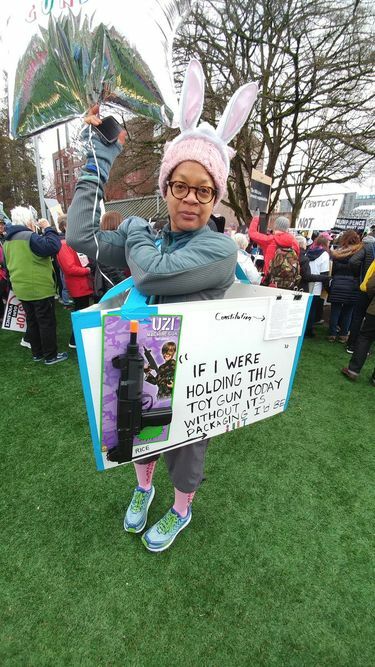 More speeches and performances will start at noon. 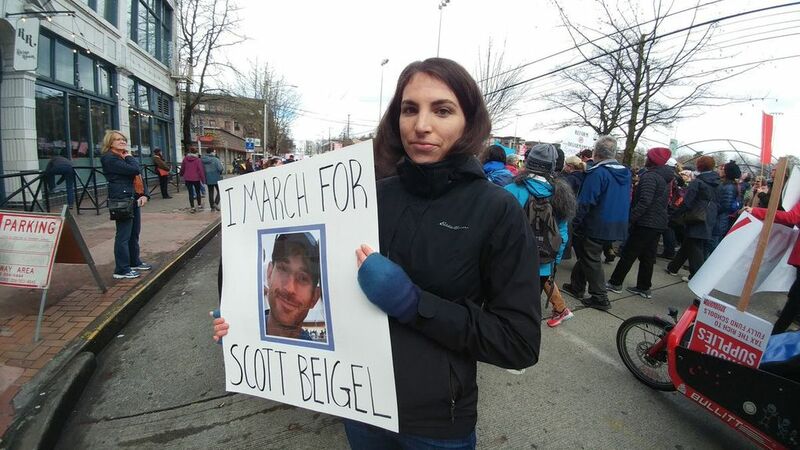 Lauren Andre is marching for her friend’s fiance, Scott Beigel, who died in the Parkland, Florida, shooting. Beigel, 35, was a Marjory Stoneman Douglas geography teacher who was fatally shot when he unlocked his classroom door and let students in to hide from the gunman. 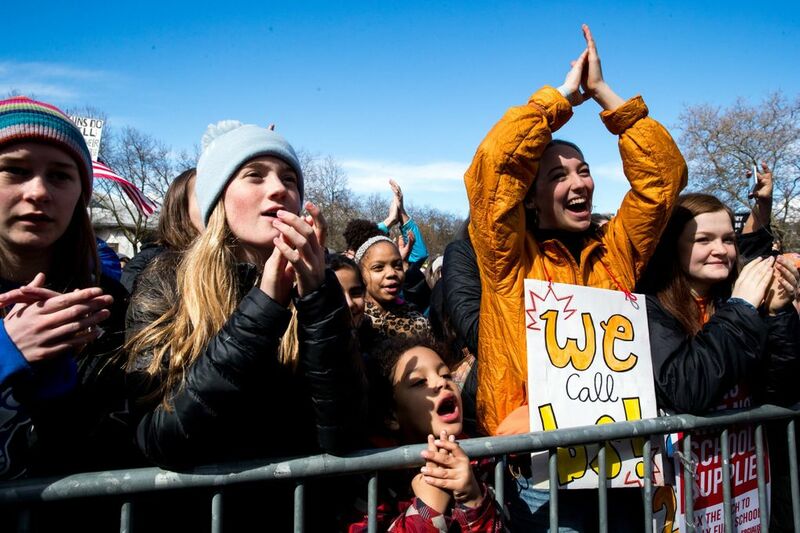 “I learned an 18-, 19-year-old kid could be a role model,” she said. 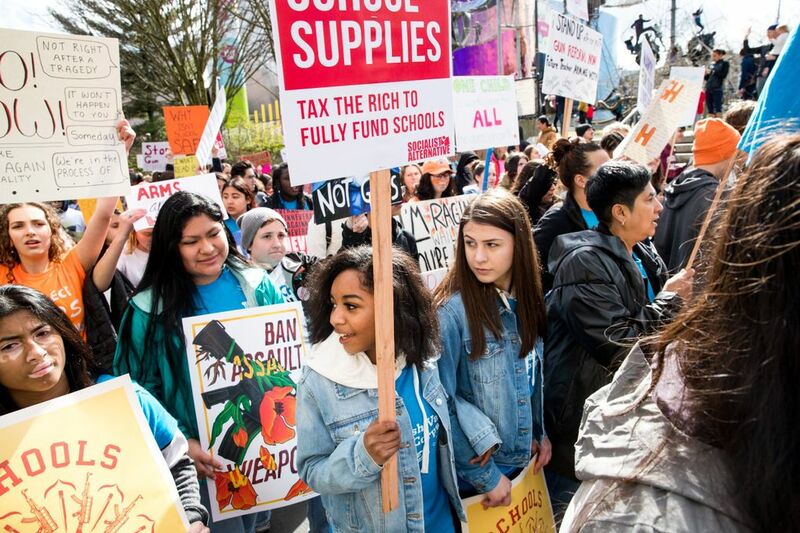 The march has started and is moving down Pine Street, led by the student organizers. 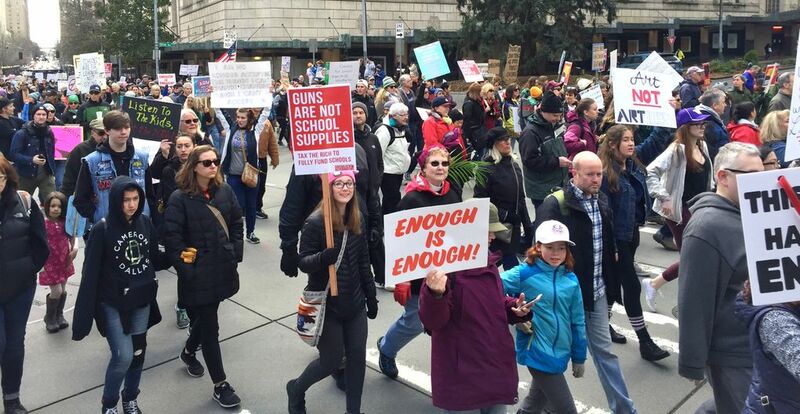 Thousands of people will be walking through downtown Seattle. The eight members of the march’s core planning team are on the stage and filling out voter-registration forms. 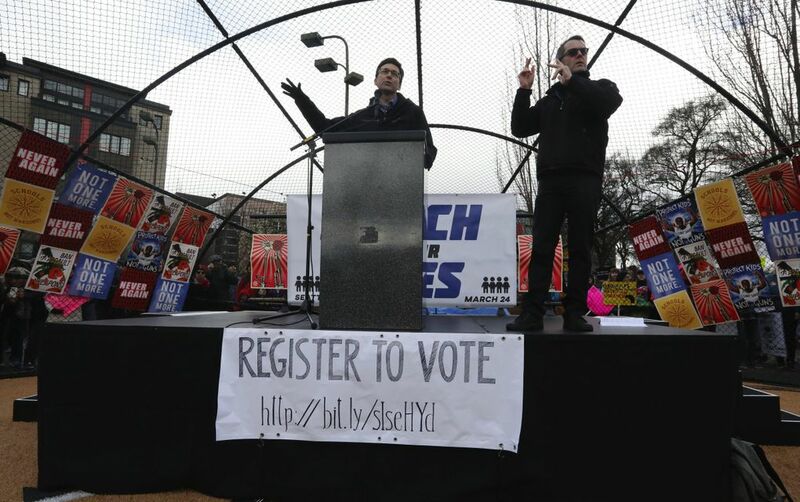 There is a voter-registration booth at the rally and volunteers with brochures and QR codes throughout the crowd. 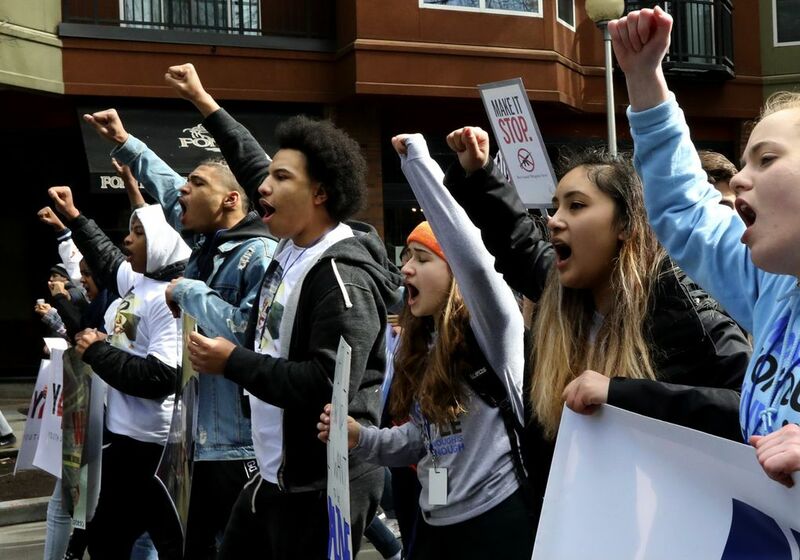 “These ballots are symbols of youth power,” said Catherine Zhu, a senior at Ingraham High School and logistics coordinator. 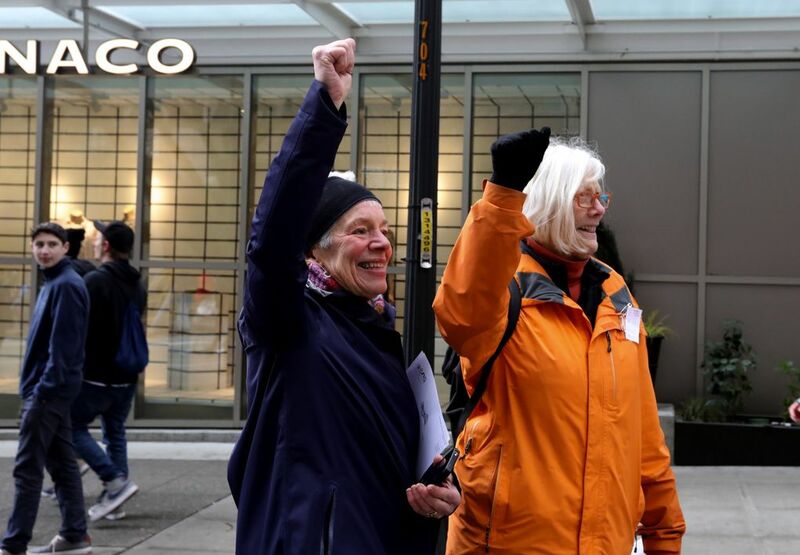 The organizers held up their signed forms as the crowd cheered. Representatives from Youth 4 Peace are reading names of young people who have died from gun violence in Washington and dropping roses at the front of the stage. 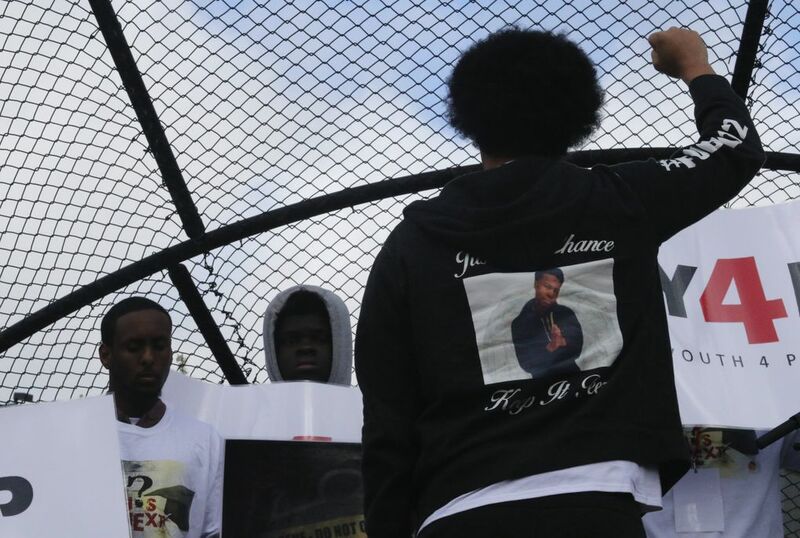 “I live in South Seattle where gun violence happens all the time,” said Elijah, whose brother was shot and killed. 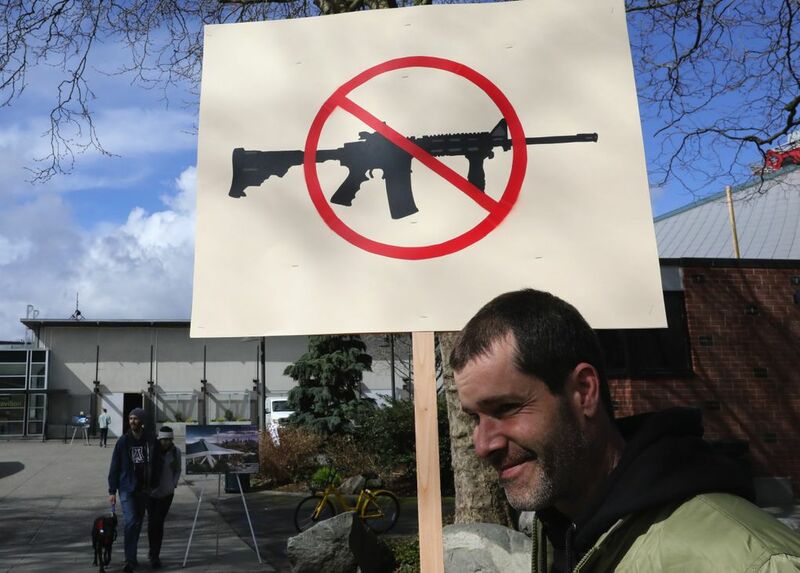 Attorney General Bob Ferguson is speaking about what he says is the need to ban the sale of assault weapons and high-capacity magazines. “No!” the crowd yelled back. 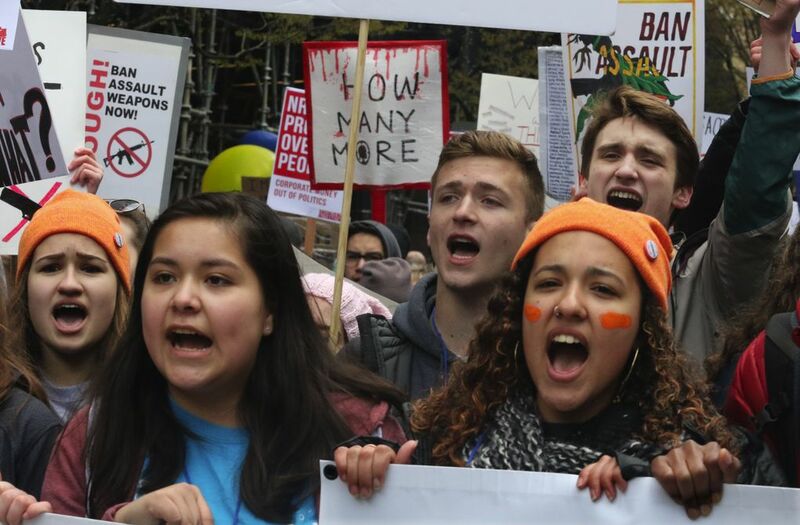 In her remarks to the crowd at Cal Anderson, March organizer Rhiannon Rasaretnam, a Tahoma High senior, said her generation, “being born post-Columbine,” has grown up accustomed to mass shootings. 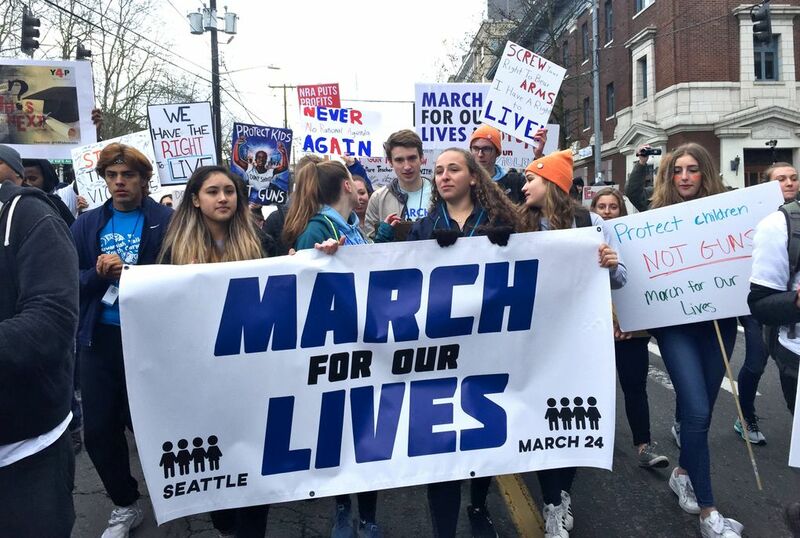 The organizers of Seattle’s March For Our Lives said a focus will be on the importance of voting and how young people can register to vote. 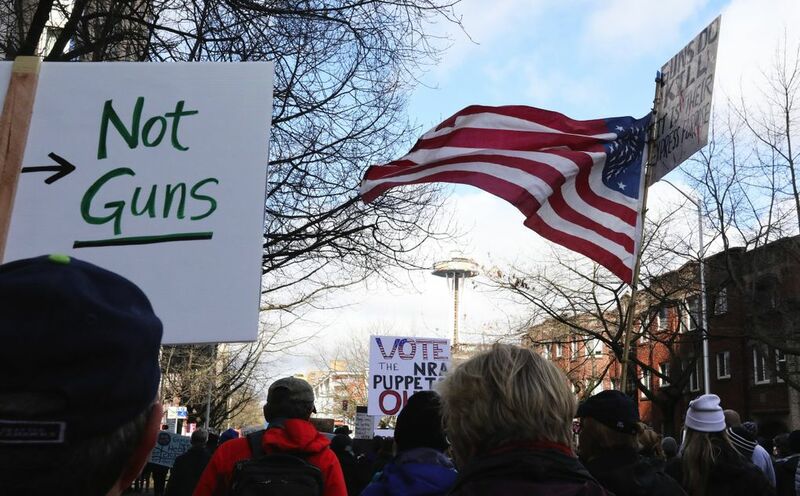 Volunteers are in the crowd at Cal Anderson Park with information about voter registration. 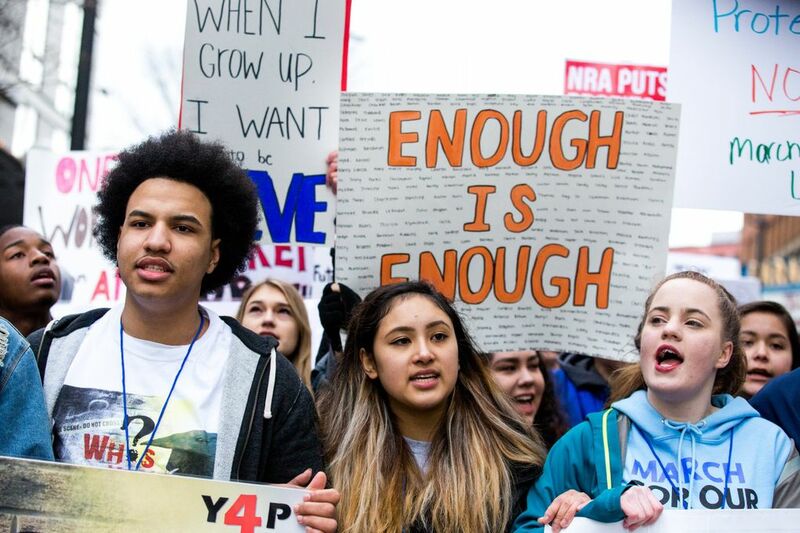 In the nation’s capital, tens of thousands of people are at the main March For Our Lives, where 20 children and teenagers are speaking the impact of gun violence on their lives. 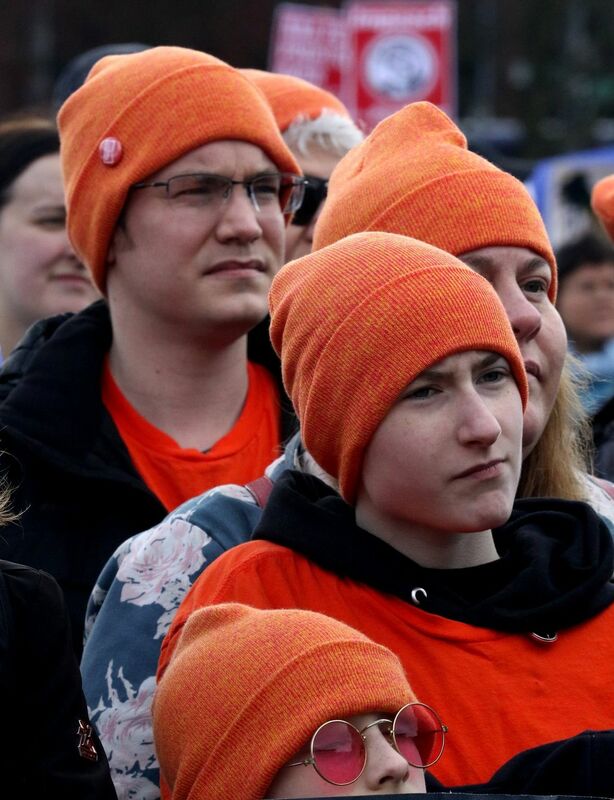 In attendance are family members and friends of the teenagers who were wounded and killed in a shooting at Marysville-Pilchuck High School in 2014. 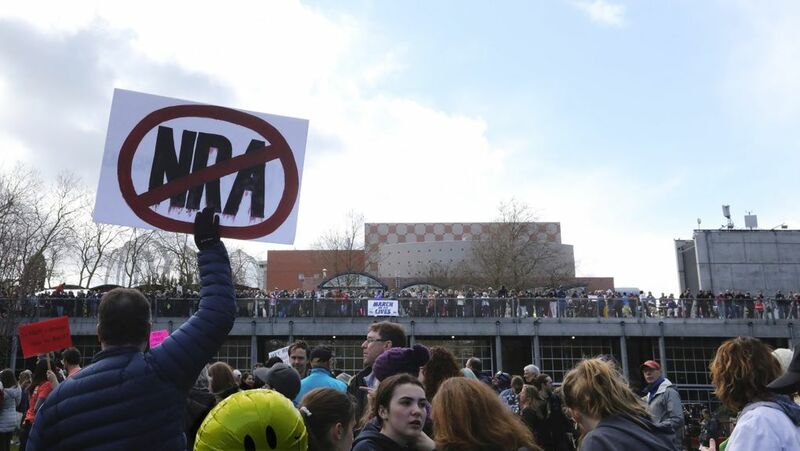 Zoe Galasso, Shaylee Chuckulnaskit, Andrew Fryberg and Gia Soriano all died after they were shot in their lunchroom in the Marysville school before classmate and friend Jaylen Fryberg turned the gun on himself. Nate Hatch, then 14, was shot in the jaw but survived. 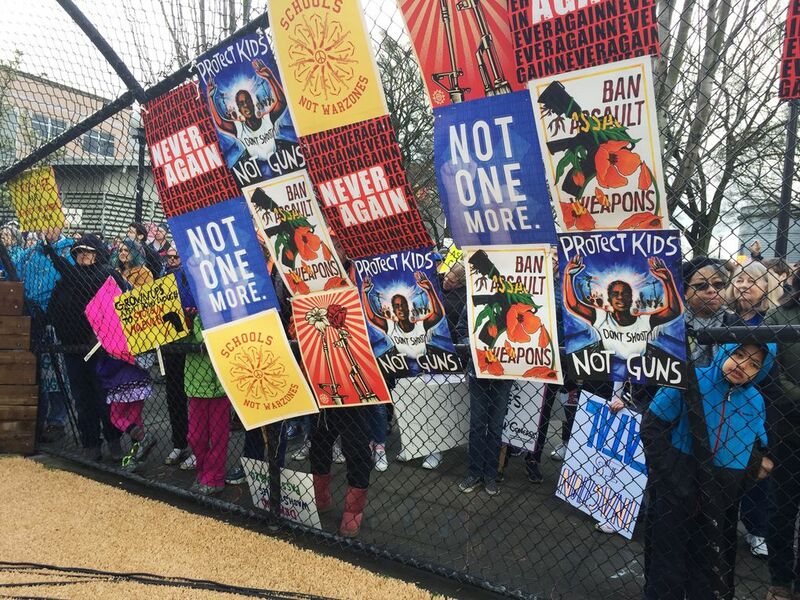 People are gathering at Cal Anderson Park, where Seattle’s March For Our Lives will be starting in about an hour. 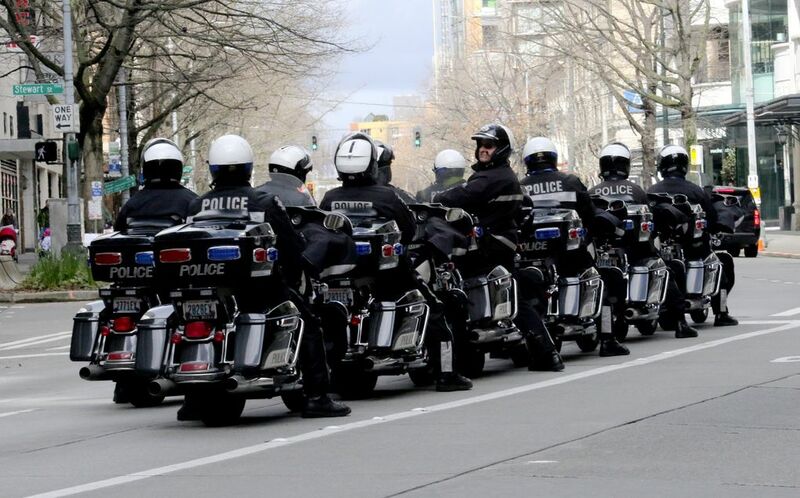 King County Metro says transit riders should prepare for significant delays before, during and after the march. 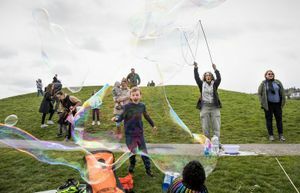 Sound Transit plans to operate extra light-rail trains for crowds that will be taking the train to Capitol Hill Station. 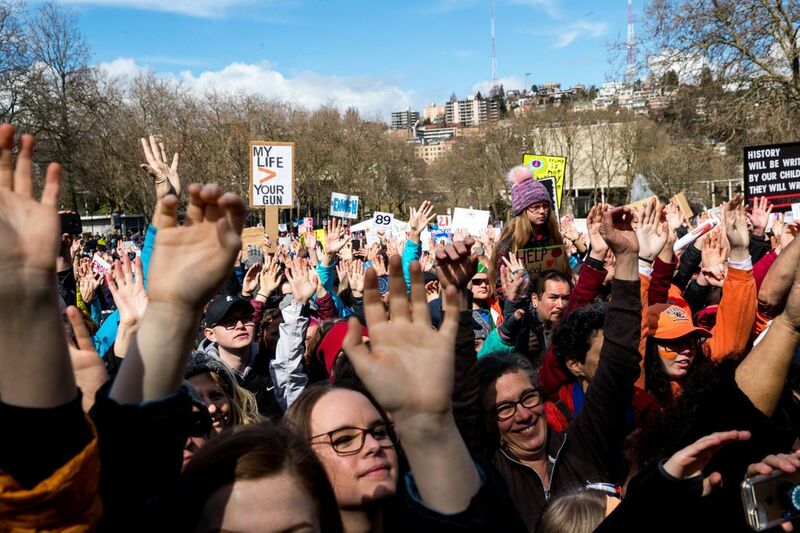 Metro will be operating free shuttle buses from Seattle Center to downtown Seattle after the march ends. 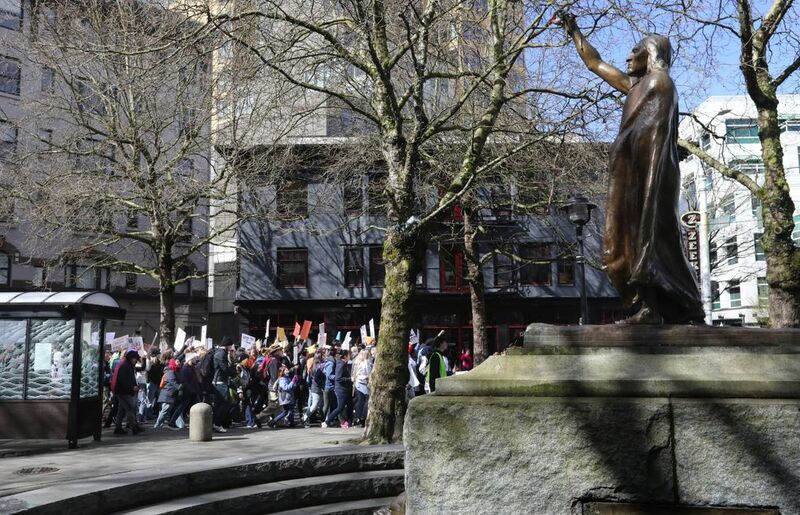 More information is available on the King County Metro website. 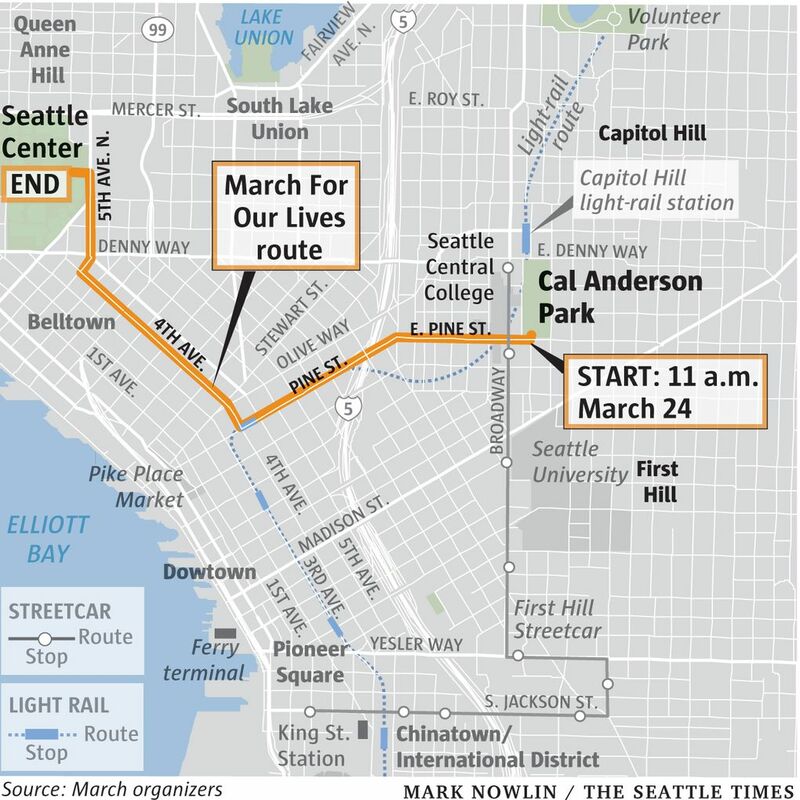 We will be posting live updates about the March For Our Lives in Seattle starting around 9 a.m. Seattle Times journalists David Gutman, Michelle Baruchman, Alan Berner and Courtney Pedroza will provide coverage from the scene. 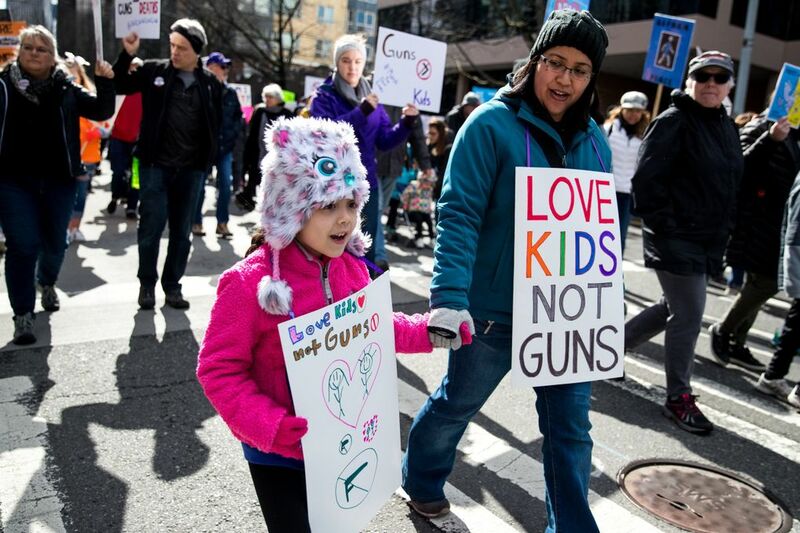 A rally will begin at 10 a.m. with speeches from state Attorney General Bob Ferguson, U.S. Sen. Maria Cantwell and lead march organizers Emilia Allard and Rhiannon Rasaretnam. 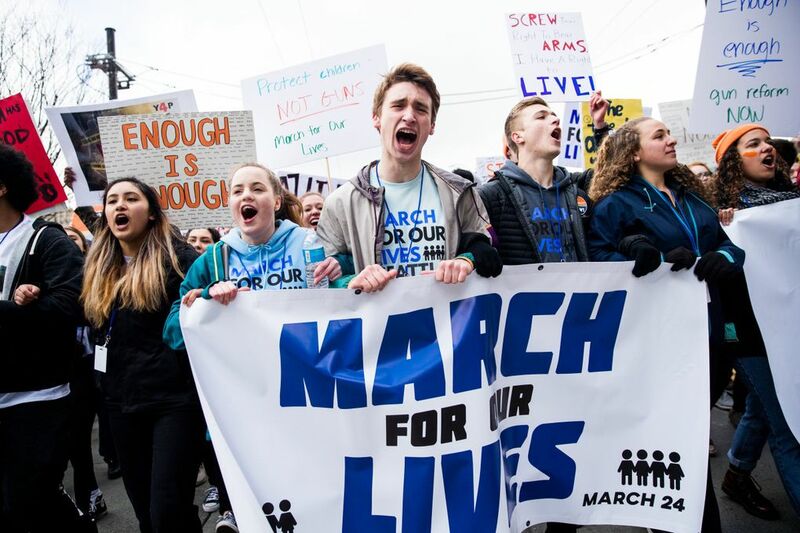 Allard, a senior at Ballard High School in Seattle, and Rasaretnam, a senior at Tahoma High in Maple Valley, have been working with a group of student organizers and more than 400 volunteers for a month to prepare for the march. 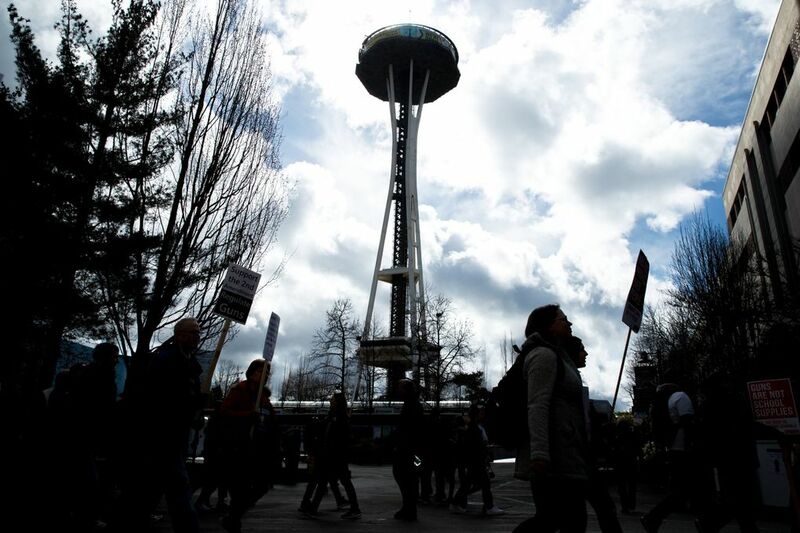 Marchers will begin heading to Seattle Center at 11 a.m. A second round of speeches and performances will include Gov. 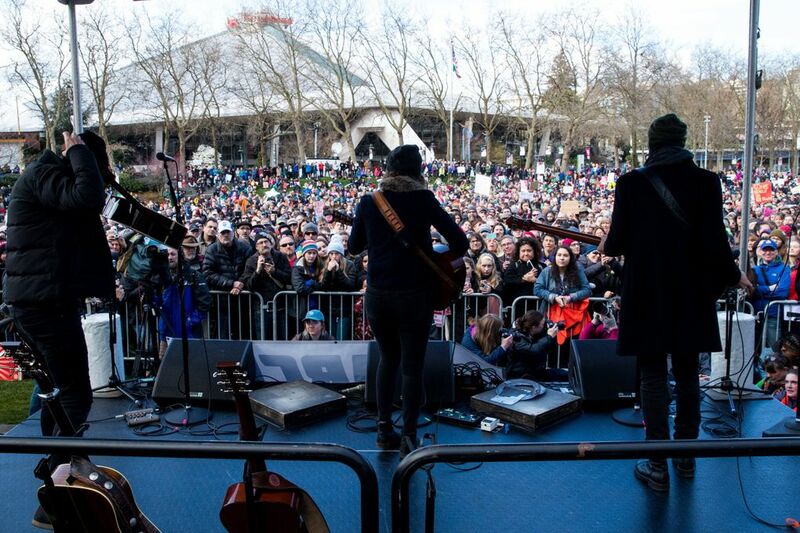 Jay Inslee, singer-songwriter Brandi Carlile and young people who have been directly affected by gun violence. 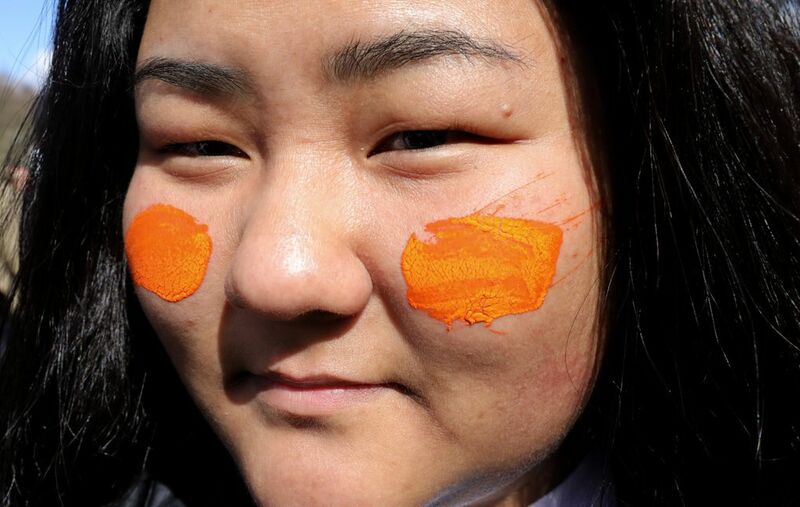 Organizers anticipate the event will end around 2 p.m.
We’re compiling videos from students as they participate in the march. 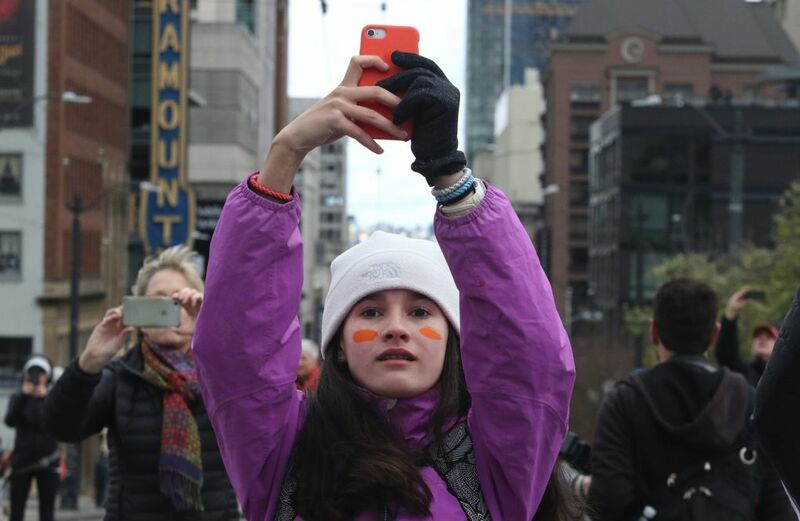 If you have a video you would like to share (even if it’s a short one saved from an Instagram or Snapchat story), please send it to pcornwell@seattletimes.com.